Alpine Wind Hakuba is a great Choice for your next ski holiday. 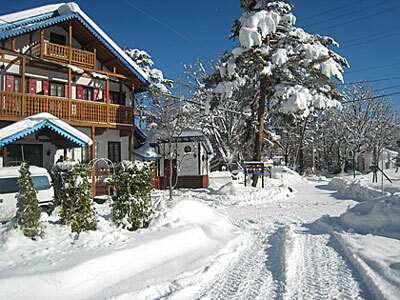 Alpine Wind Hakuba is a centrally located accommodation in the heart of Hakuba. It’s within easy walking distance to many shops, restaurants, bars and the supermarket. There is a shuttle bus stop to take you to all the ski fields in town about 20 meters from the front door. The 2 main resorts Happo one and Hakuba 47 are both about 5 mins away on the free shuttle bus. We have one of the nicest onsens (hot springs) in town, Rooms with and without private bathrooms, a fire place, free lan and wireless internet, a 42" Bilingual TV with English Cable in the lounge, a ski room, a dry room, a large parking area, great views and much more. We can also organise tours for you and we sell discount lift tickets to the ski fields to save you some money.